There are few dishes that I’ve really missed while living in Mexico. The food here is diverse, fresh, and always surprising (quite contrary to the blasphemous Mexican food typically found in the States). But sometimes a girl needs her old favorites. For one, I’d give my left arm for a fat pita stuffed with crispy falafel and tahini (my home version just won’t cut it). Or how about a bowl full of pad see ew: the Thai dish made with big fat rice noodles, broccoli, and topped with crispy tofu? Mmm or what about a big plate of Ethiopian: injera, spicy lentils, garlicky greens, and some honey wine to wash it down? But then there’s pesto. Ooooh and bruschetta! Those big, fresh flavors of basil and ripe tomatoes… so delicious and taste like home. So the other day, I walked the 40 minutes to the market with the “herb lady” stall and whuddaya know, she’s got loads of fresh basil. One big bunch would be enough for both recipes giving me a veritable Italian-Mexican feast and one happy Emma. What makes these recipes Mexican, you ask? Well, throw in some dried chile peppers into the pesto for a kick and a handful of chia seeds in the bruschetta and I’d say we’re taken Italian south of the border. Olé? 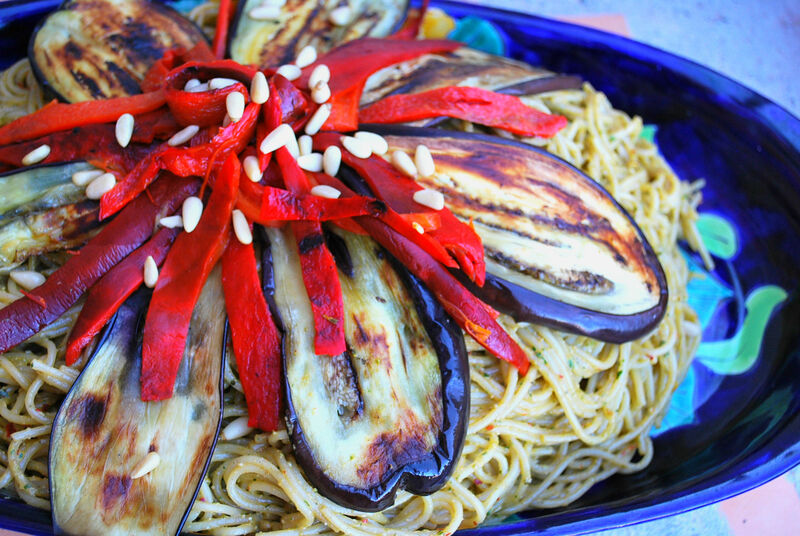 Nah, more like… GET IN MY STOMACH NOW! We all know that basil is crazy delicious, but did you know that a 2tsp serving meets 60% of your daily recommendation for Vitamin K? Vitamin K is essential for proper blood clotting and bone tissue and repair. Basil also is a good source of iron, calcium, and Vitamin A. So, thank you pesto. My bones feel stronger already. 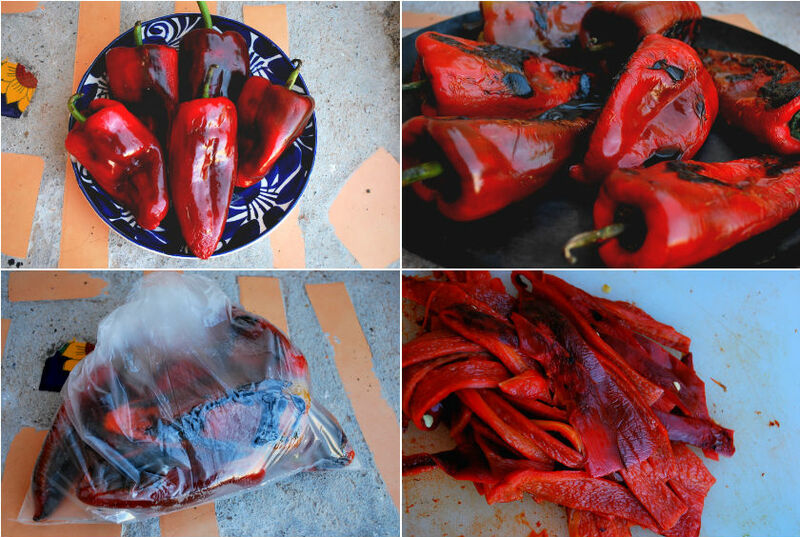 Roast on comal or grill until skin is cracked, bruised, and black. Place in plastic bag and shut until cool. This allows the skin to remove more easily later on. Once cooled, peel most of the skin off, remove stems, seeds, and pith. Cut into slices. 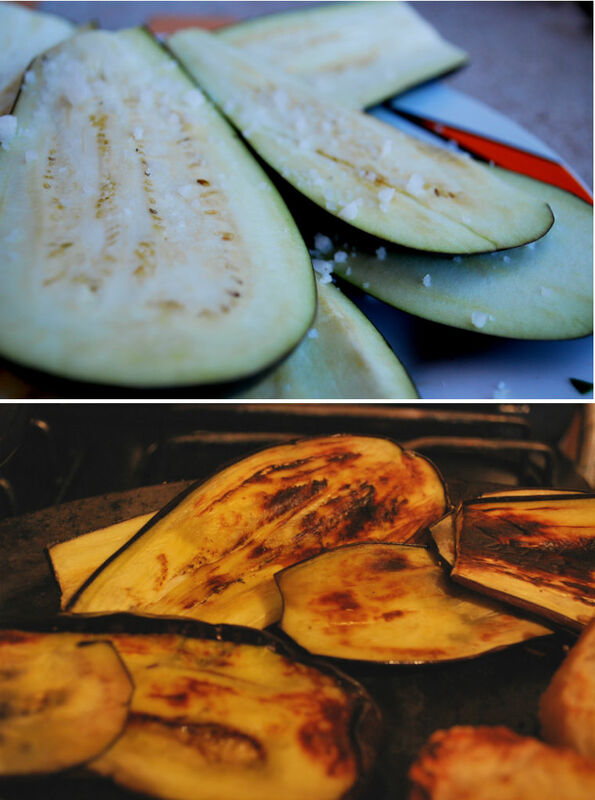 Cut eggplant into slices about 1cm thick. Place on plate with a little salt to pull liquid out. No more than 10 minutes is necessary. Wipe free of salt, rub with a little olive oil on each side (I used my fingers) and grill on comal or griddle on low-medium heat until each side is browned and you can’t bear to wait another minute to eat. Avoid constant flipping. One flip is best beyond checking for doneness. 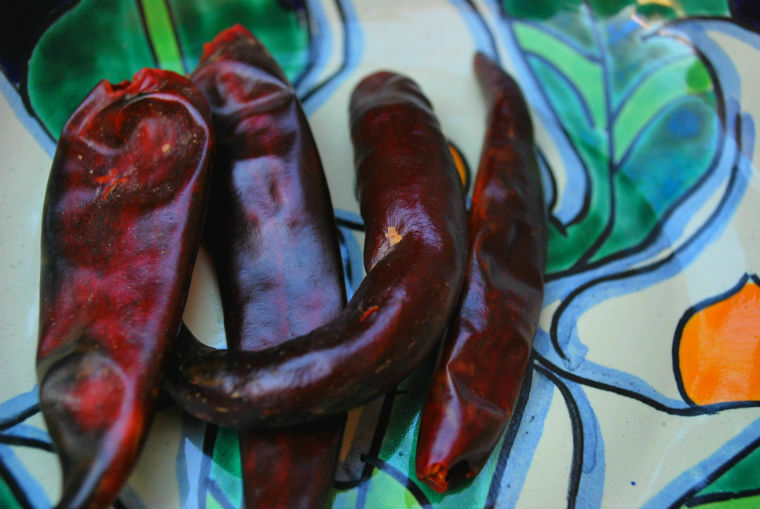 If your chiles aren’t already toasted, clean off any excess dirt and toast lightly in a pan on low heat. Be sure not to over do it, or they will go bitter. Four chiles in this mix gave the pesto a nice bite, but nothing too terribly spicy. If you are wary of spice, try two to start and go from there. Place all ingredients in a blender or food processor and whir to desired consistency. Check for salt. This will yield enough pesto to cover pasta enough for 6 very hungry people. I reserved about ¼ cup to eat the next day with some warm tortillas and sweet potato and, oh dear lord, was I glad I did so. Assembly: Toss pesto with warm pasta of choice cooked al-dente. 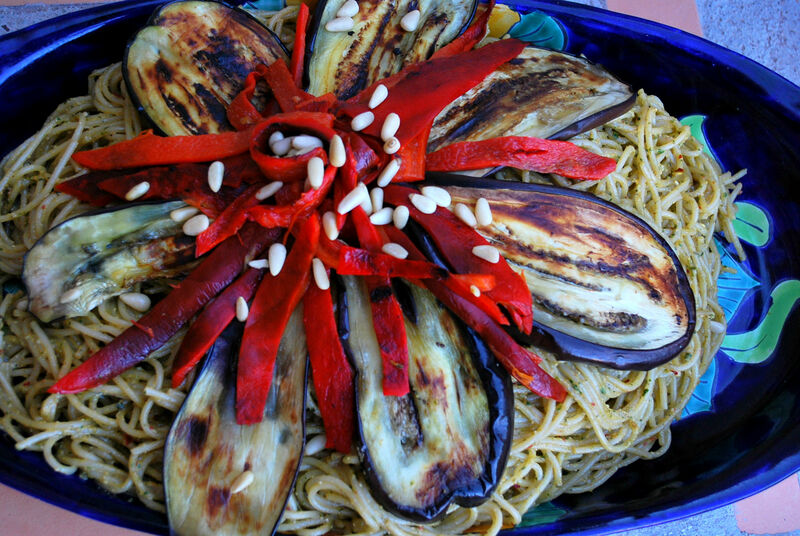 Top with eggplants, roasted reds, and additional pine nuts. Mix all ingredients (minus garlic and French bread) in a bowl and let sit for at least 20 minutes. 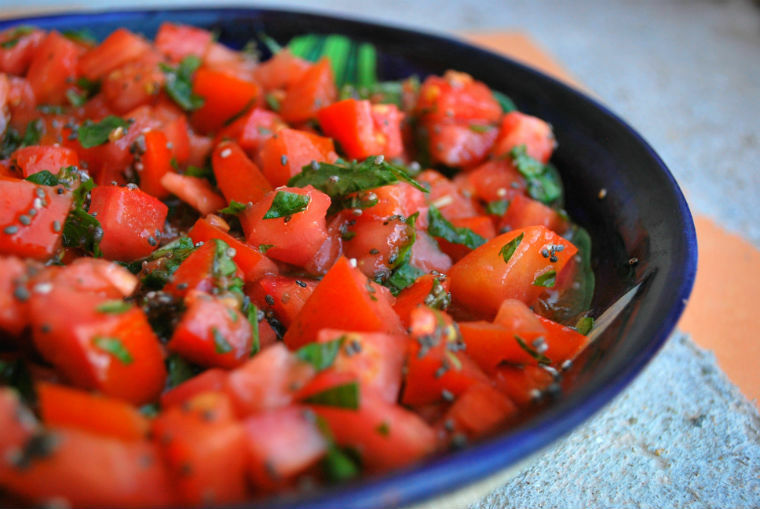 The chia will help absorb most of the liquid and keep bruschetta from becoming too runny. After it sits, test for salt. Meanwhile, heat up griddle to get ready to toast the bread. Rub the slices of bread with the garlic clove. After rubbing each slice of bread on both sides, cut off the thinnest of slices of garlic to expose more garlic juice. Toast on griddle until lightly browned and crispy on each side. 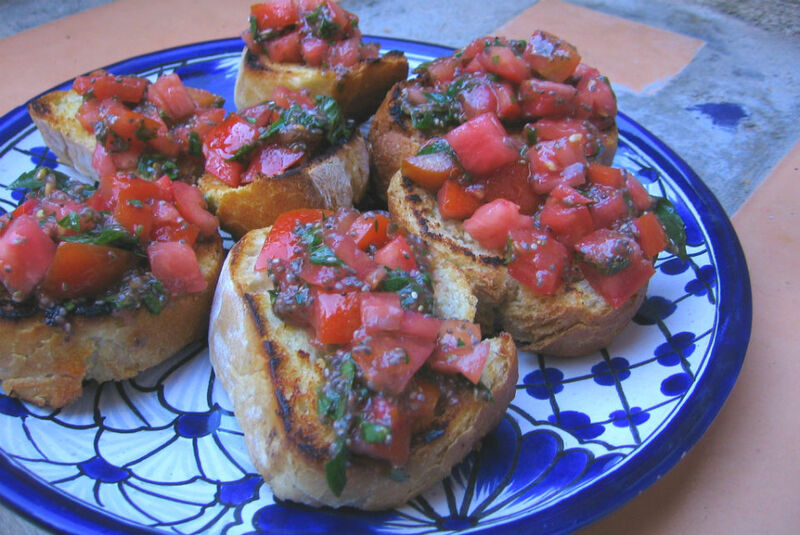 When ready to serve, top with spoonfuls of bruschetta and enjoy! Now grab some wine, good friends, and enjoy one of those meals that leaves you wildly content and belly-full. Cheers. Nice to see you again! These things sound YUMMY! Love to you from the Great Lakes! Just got back from Provence France..you need to go gurl! !